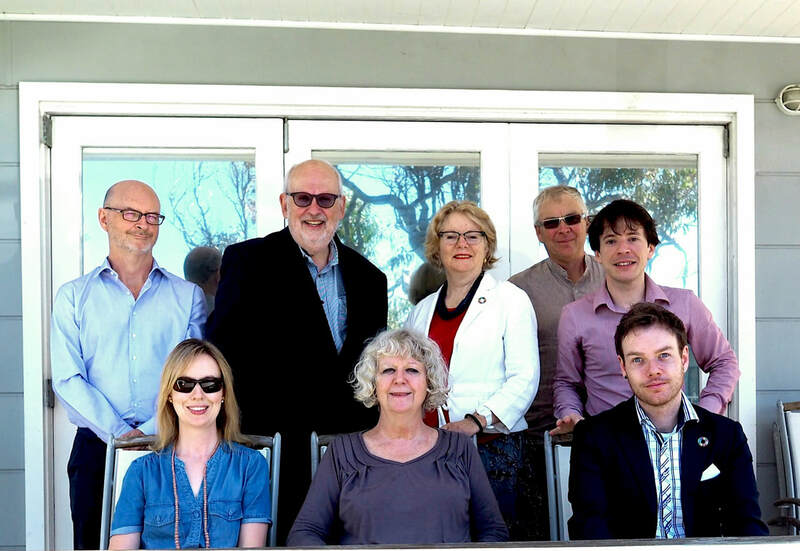 Eastern Regional Organisation for Planning and Human Settlements (EAROPH) Australia Inc.
​EAROPH Australia Executive Committee of 2018 at the annual AGM in Newcastle. EAROPH Australia President Dr Jane Stanley, Vice President Mia Davison, with EAROPH Hon President Khairiah Talha, EAROPH Indonesia's Bernardus Djonoputro, and UN Global Compact Cities Programme's Michael Nolan at World Urban Forum 9. The 26th EAROPH World Congress was held in partnership with Compass Housing and the 2nd International Implementing the New Urban Agenda and SDGs Conference. More than 200 delegates from around Australia and the Asia-Pacific gathered in Newcastle to share experiences and projects on implementing the SDGs and the New Urban Agenda. EAROPH Australia presented its Annual Report to the International Council Meeting of EAROPH, held in Newcastle on 31 October. You can download a copy of the Annual Report here. EAROPH Australia is the Australian national chapter of EAROPH. EAROPH is a non-governmental, multi-sectoral civil society organisation established in 1960 to foster the exchange of insights and experiences among countries in the EAROPH region. EAROPH promotes a better understanding of human settlements and encourages excellence in planning, development, and management to improve the quality of life and sustainability of human settlements. EAROPH Australia holds its AGMs in various regions of Australia. Our AGM for 2018 was held on 7 April in Newcastle, New South Wales. On 6 April, EAROPH members also held a planning workshop with the City of Newcastle and Compass Housing for the 26th EAROPH World Congress. EAROPH Australia hosted and chaired a number of events at WUF9 in Kuala Lumpur, Malaysia, in February 2018. Dr Jane Stanley, President of EAROPH Australia, launched her new book How to Build Local Economies at WUF9. In early 2018 EAROPH Australia made a submission to the Australian Parliament's Inquiry into the SDGs. A copy of the submission is available here.